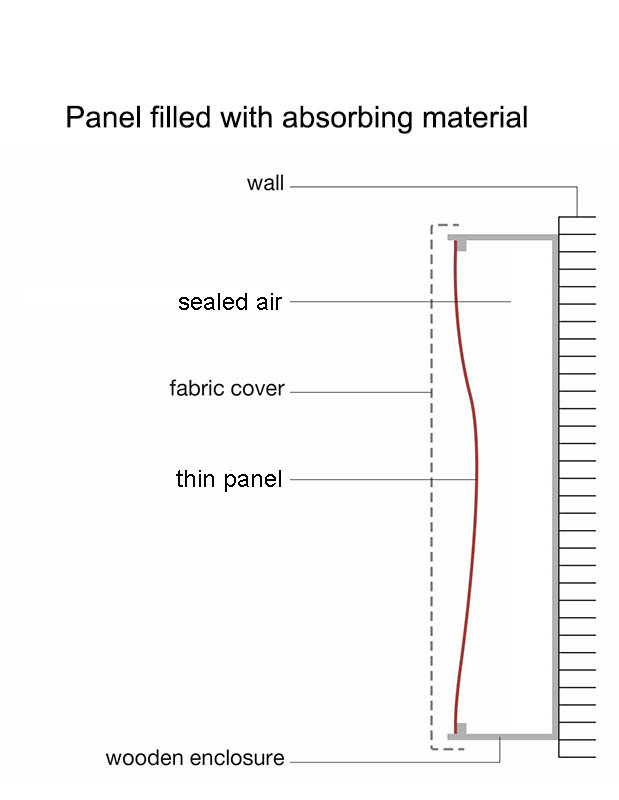 The mass or density of the panel. The depth of the air cavity, i.e. depth of the sealed timber frame. Filling the cavity with fibreglass or mineral wool tends to lower the resonant frequency by up to 50 per cent as well as doubling the effectiveness of the trap. It also lowers the Q of the trap so that it is effective over a wider frequency range. A typical panel-type trap is effective for frequencies around one octave either side of the centre frequency, which at least has the advantage that you don't have to be absolutely accurate to get results.